Along with the overweight and obesity epidemic among our youth comes high cholesterol, another risk factor for CVD. 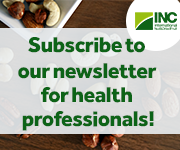 In this month’s E-News Exclusive, Today’s Dietitian (TD) discusses the latest guidelines for cholesterol screening for kids and teens and the red flags dietitians should take note of to help them make better decisions for patient care. After reading the article, visit TD’s website at www.TodaysDietitian.com to read the digital edition of the December issue, which includes articles on supermarket meal kit programs, the top 10 skills to build in 2019, vegan yogurts, and individualized diets for older adults. Don’t forget to check out RDLounge.com where you can read and comment on blogs written by RDs for RDs. We’re welcoming new guest bloggers, so if you’re interested in writing, please contact me at the e-mail listed below. Please enjoy the E-Newsletter and give us your feedback at TDeditor@gvpub.com, and don’t forget to like us on Facebook and follow us on Twitter. The staff of TD wishes you a happy holiday season! Several decades ago it was rare for a child or adolescent to be diagnosed with high cholesterol. But just as the prevalence of childhood obesity has climbed over many years so have lipid levels among our youth. To continue to head off heart disease at the pass in this population, guidelines had to be established and reexamined to improve outcomes. Current guidelines for screening children for elevated cholesterol include testing between the ages of 9 and 11—earlier if they’re at high risk—and again between the ages of 17 and 19. These recommendations were made by the National Heart Lung and Blood Institute and endorsed by the American Academy of Pediatrics.1,2 Children and adolescents with diabetes, hypertension, or BMI >85th percentile are at high risk of elevated cholesterol, as are those who have a first degree relative with history of dyslipidemia (total cholesterol >240 mg/dL) and a strong family history of premature CVD, such as stroke or heart attack at a young age (before age 55 in men and 65 in women). The Early Feeding Skills (EFS) checklist provides a user-friendly tool for assessing and monitoring feeding skills in premature infants and other infants at risk of feeding problems—and for guiding interventions to promote the skills needed to feed successfully, according to new research led by Suzanne Thoyre, PhD, RN, FAAN, of the University of North Carolina at Chapel Hill School of Nursing. The EFS is a 22-item checklist developed to assess oral feeding skills in infants feeding by breast or bottle. In the study, registered nurses, speech-language pathologists, and occupational therapists used the EFS to evaluate the feeding skills of 142 infants at children’s hospitals in three states. Three-fourths of the infants were born prematurely; some were full-term infants who had undergone heart surgery. Using a method called factor analysis, the researchers identified a set of five subscales measured by the EFS: respiratory regulation, or the ability to coordinate breathing and sucking; the ability to organize oral-motor function; swallowing coordination; staying engaged with feeding; and remaining physiologically stable during feeding. Together, these factors explained about 58% of the variation in the EFS score; the single strongest factor was respiratory regulation. Learn about eating disorders in pregnancy in this month’s issue of Today’s Dietitian. 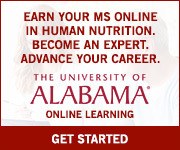 Read the CPE Monthly article, take the 10-question online test at CE.TodaysDietitian.com, and earn two CEUs! Our $249 Registration Rate Ends on Midnight New Year’s Eve! Register now to save and join us in Scottsdale May 19–22! Earn 15 CEUs or more by attending our 6th annual Spring Symposium in Scottsdale, Arizona, May 19–22, 2019! The venue, Talking Stick Resort, is Scottsdale's top entertainment destination, a luxury hotel and casino resort located on the Salt-River Pima Maricopa Indian Reservation. The 240,000 square foot property includes a 98,000 square foot casino, 496 guest rooms, 21 meeting rooms, six entertainment lounges, and five restaurants. It also contains a 25,000 square foot Grand Ballroom, a spa spanning 13,000 square feet, a fitness center, a Showroom that seats 650, and four pools. We'd love for you to be a part of our 6th annual event! Book your room at our discounted rate of $189/night. Presenter lineup and session titles are now available at TodaysDietitian.com/SS19. The nation's top employers and recruiters of nutrition professionals advertise in Today's Dietitian magazine and post their job openings on AlliedHealthCareers.com. Check out the most recent opportunities that have been submitted by employers from across the country! Coming up in our January issue is our Fresh Ideas Showcase. Email a sales representative to be part of this unique advertising opportunity. NPR reports that the USDA has finalized its new nutrition standards for school meals that roll back Obama-era regulations on whole grains, sodium, and flavored milks, and will be publishing the final rule this month. A clinical dietitian discusses phrases regarding antibiotics, hormones, and other topics found on meat packaging, clarifying what the labels actually mean, in the Duluth News Tribune. A poor appetite is one of the most common side effects in cancer patients and is also a major risk factor for malnutrition. Poor appetite may be caused by a variety of factors, such as physiological effects of the disease itself or treatments and medications. Altered sense of taste or smell, early satiety, nausea and vomiting, trouble swallowing, acid reflux, and depression also are known to contribute to poor appetite in cancer patients. RDs play a key role in providing patients with strategies to improve appetite and optimize food intake. Proper food intake will ensure adequate consumption of calories and nutrients, which are necessary for healing, maintaining strength, and improving overall health outcomes.